The U.N.O. 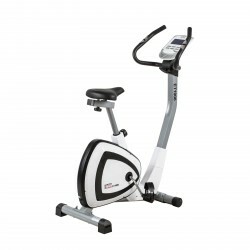 Fitness exercise bike ET1000 is a machine for beginners and offers a 24 times electronic magnetic resistance system. This machine achieved the test mark "Good" in the renowned ETM Testmagazin and convinced by its easy operation and 24 training programmes. Using the ET1000, you can effectively strengthen your cardiovascular system and reduce weight with your training at home. The exercise bike »ET 1000« was evaluated with "good" in the comparison test of the ETM Testmagazin (number March/2017). U.N.O. exercise bikes and recumbent bikes are top fitness machines which can be used at gym or at home. Because of top-grade workmanship, U.N.O. 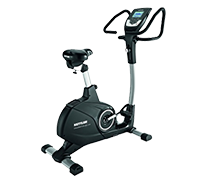 exercise bikes provide a long durability and excellent training features. U.N.O. exercise bikes and recumbent bikes guarantee highest quality. Versatile adjustment possibilities regarding programme selection, make exercising with U.N.O. exercise bikes and recumbent bikes extremely varied. Motivation is always kept with U.N.O. exercise bike. The high load and easy maintenance make the U.N.O. exercise bike optimal for use at gym or ambitious workouts at home. Enjoy Sports for Life with U.N.O. exercise bikes !